1. It can prolong the duty cycle of the laser module to about 1 hour. 4. Please connect the heatsink and the module by heat sink silica Glue. 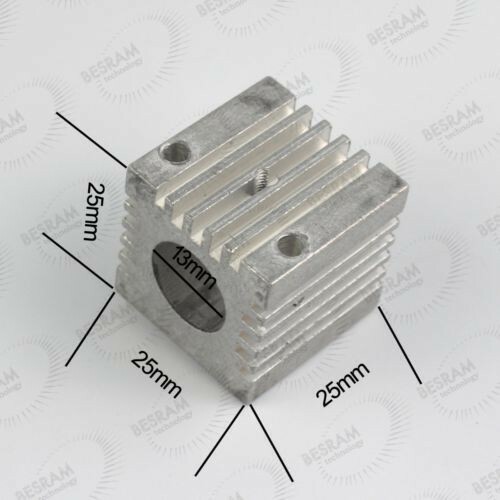 If your laser module is smaller than 13mm, it must absolutely influence the heatsink effect. Please let the heatsink and the module connect each other tightly. 5. Heat sink ONLY, the laser module in the picture is ONLY a model.